There is an ongoing debate about the exact date and location of the emergence of the art of Ebru. 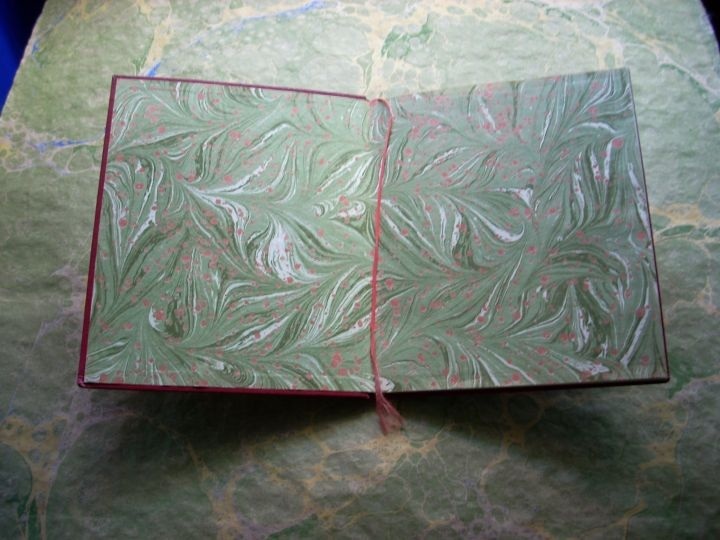 We find marbled papers as the endpapers in books which date back many centuries (Figure 1 & 2). Marbled paper had also been used as borders and frames for manuscripts (Figure 3). 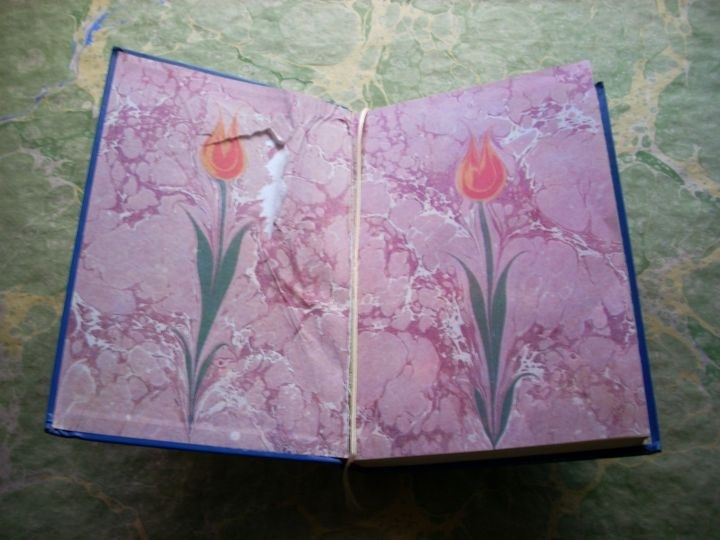 Although we have the information about the date the books are written, we cannot be sure of the date of production of the marbled papers, since the books have undergone restoration several times. As a result, we only take as reference those marbled papers which have on them the date of their production or some caligraphy inscribed. 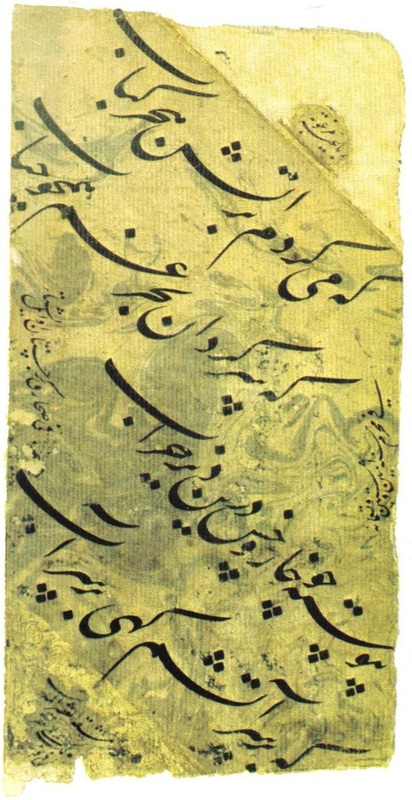 Examples of hafif (light) ebru, a type of ebru that involves light and pale colors and serves as a background for manuscripts, is important for studying the history of ebru. 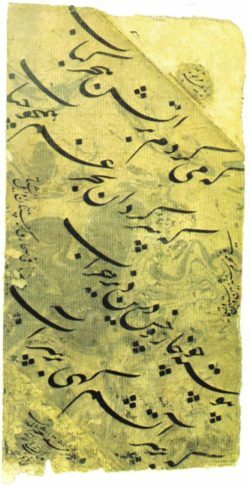 The oldest ebru, a Malik-i Deylemi text, dates back to 1554 (Figure 4). Hafif ebru requires a rather advanced technique and an experienced ebru artist. 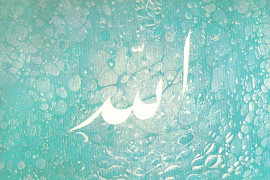 Therefore, it is assumed that ebru emerged in as early as the 15th century, considering the concrete evidence we have. In one issue of Pallete magazine of Switzerland (vol.30, 1969), Mehmet Ali Kağıtçı claimed that there exists an ebru in the archives of Topkapi Palace Museum which has an iscription that dates back to 1447. However, the document was never acquired due to the lack of references. 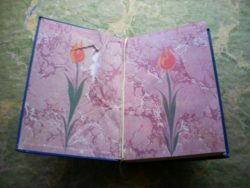 Unfortunately, the books about the traditional Turkish handcrafts do not provide information on ebru and the speculations about its history continue. Discovery of new documents is needed. 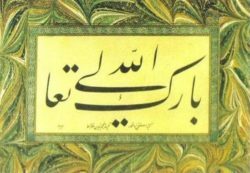 In Buntpapier, a source which includes the published material about ebru in Europe, it is stated that ebru has first emerged in Turkistan. Among the Turkish ebru masters, it is also rumoured that ebru has its origins in Bukhara area. In the book it is discussed that the shamans in that region had had a way of fortune telling in which they throw paint on an aqueous surface and interpret the form. 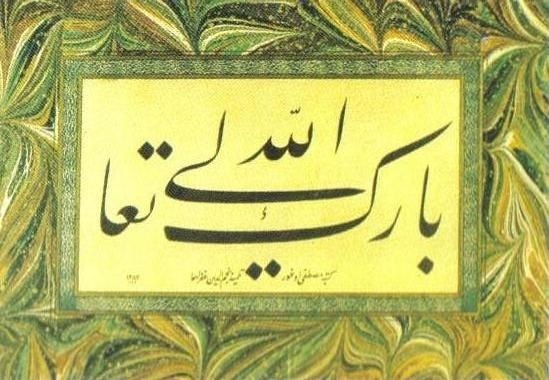 Likewise Sadık Efendi, an important figure in the history of ebru, received his training in Bukhara and later on joined Özbekler Tekkesi, a dervish lodge founded in Istanbul in 17th century, passing down his knowledge to the next generation. Finally, we can say that technique and art of marbling has emerged in Bukhara region, carried by the Silk Road arrived in Anatolia by the Persian name of ebri. In the beginning, ebru was not considered as a main branch of fine arts, but rather a handcraft, heavily used in endpapers for bookbinding and in backgrounds for works of hat and teship. Ebru has reached its fine form in Istanbul, moving on through generations by master-student relationships.